All vehicles are hand picked and very clean. Nearly all have Factory Warranty Remaining. Those that don't have an extended service contract available. If you have any questions please give us call at 918-647-3999. Payments are based on $0 Down- 75 Months @ 4.99% subject to lender appoval of rates and terms. Unless otherwise noted. YES SOME VEHICLES HAVE ERRORS AND OMMISSIONS WE ARE NOT PERFECT AND I AM SORRY FOR THAT. PLEASE CALL AND ASK IF THE VEHICLE YOU ARE COMING TO GET IS AVAILABLE. 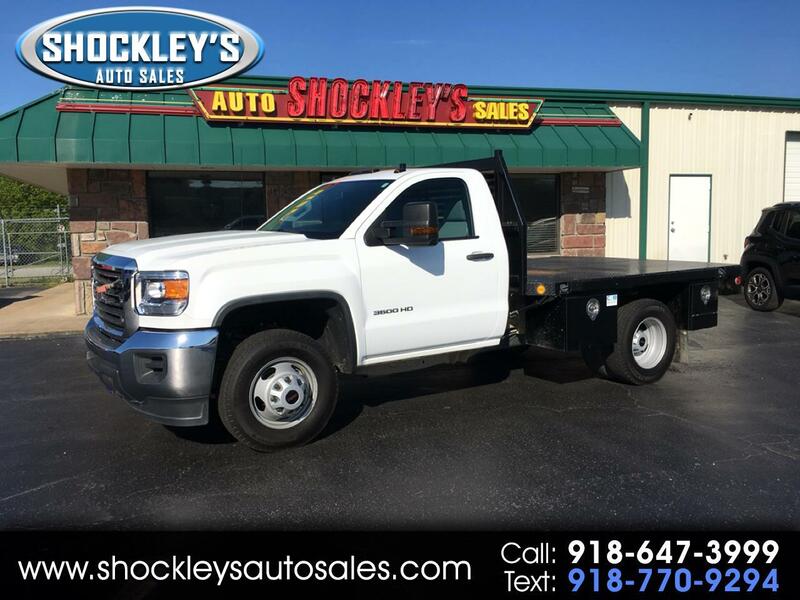 Message: Thought you might be interested in this 2015 GMC Sierra 3500HD available WiFi.